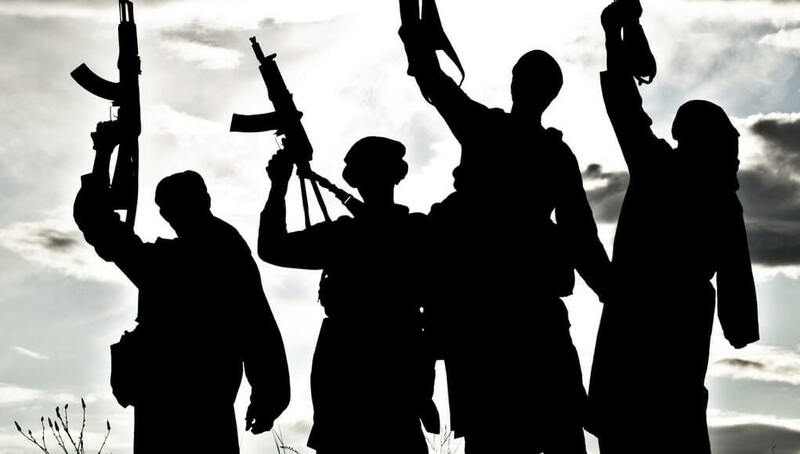 The global terrorist and extremist threat is likely to persist in 2019 as the Islamic State (IS) terrorist group goes through a phase of re-adaptation and de-centralisation. This threat will remain given the global failure to resolve the underlying causes of extremism and terrorism, like reported by eurasiareview.com. For crises like accelerating climate change, growing Russian aggression and China’s increasingly assertive military posture in areas like the South China Sea, the fresh start often associated with a new year offers little respite, like reported by soufangroup.com. These challenges—among others, such as the persistent spread of the ideology of ‘bin Ladenism,’ intractable wars in Syria and Afghanistan and a rising tide of hyper-nationalistic politics—have been building for years, and in some cases decades. This confluence of crises requires a thoughtful, yet urgent, approach that is entirely devoid from the body politic of the U.S. and other Western nations, including the United Kingdom and Australia. Even though these challenges require a multilateral approach, comprehensive security cooperation and resilient international institutions, the past few years have witnessed a growing trend among nations that signals a desire to jettison the Cold War alliances that reliably served as a foundation for global stability since the end of World War II.Perhaps the most significant issue facing the international community is one that influential policymakers and politicians in the U.S., including some in the White House and other high-ranking positions within government, dismiss out of hand as either a hoax or conspiracy: climate change. The wildfires in California, devastating hurricanes, flooding rain systems overlaying persistent drought and warmer temperatures combined in the last year to inflict significant damage across the U.S. These events generated discussions about how to mitigate the effects of rapid climate change, however, including the rising sea levels that threaten many locations on the Eastern seaboard. Still, a national dialogue is lacking, meaning that the chances of producing a whole-of-government commitment to building a resilient domestic infrastructure in the U.S. while reducing dependence on carbon-emitting energy production are slim. As the polar regions heat up and spin-off systems wreak havoc across the globe, the scale of the crisis will cascade, with dangerous consequences for the international community.The issue of China’s assertive military posture in areas like the South China Sea is one the U.S. will be forced to address multilaterally and with well-developed strategies. China’s increased presence in what it sees as its historical sphere of influence is a fait accompli in some territories and has been consistent, both in its efforts to reshape the geopolitical landscape—literally in some cases—and in its indifference and even anger over the objections of its neighbors. China views its actions, which Beijing has undertaken for decades, as correcting wrongs that occurred throughout several centuries. The U.S. role as guarantor of naval free passage is running aground on the shoals of China’s determination to flex its muscles throughout Asia and the Indo-Pacific. One serious issue is that a significant percentage of trade and oil flow through these areas. With tensions mounting, escalation between the U.S. and China remains a worrisome possibility.Russia continues to support a low-level insurgency in eastern Ukraine, still occupies the illegally-annexed Crimea region and remains unwavering in the Kremlin’s commitment to wage information warfare by relying on relentless influence operations and propaganda. Moscow enters 2019 as a determined and persistent foe to NATO and western democracies more broadly. Russia’s reversal into blatant autocracy and kleptocracy has been unfolding over the past 20 years. Vladimir Putin assumed the office of president on the final day in December 1999, and ever since, has accumulated and consolidated uncontested power. The oil-dependent economy and endemic corruption, the killing of journalists and dissidents and the absence of any genuine political alternative to Putin, have struck hard at Russian life. On the international stage, Russia is primarily viewed as a pariah that assassinates its critics and operates social media campaigns (and funds political campaigns) with one goal: exploit existing social and political divisions. Russia will continue to use this strategy because it has proven effective and, at least to date, has cost Putin and his cronies relatively little.As 2019 commences, the challenges faced by the U.S. and others will linger unabated. The U.S.’ insistence on a unilateral approach to multilateral challenges is worse than counterproductive; it is actively destructive and encourages others to similarly abandon consensus, multilateralism and the cultivation of alliances based on shared values. These crises have taken years—and often far longer—to reach their respective critical stages. The longer they continue unaddressed, the more problematic they become, perpetuating a state of durable disorder with no clear end in sight. 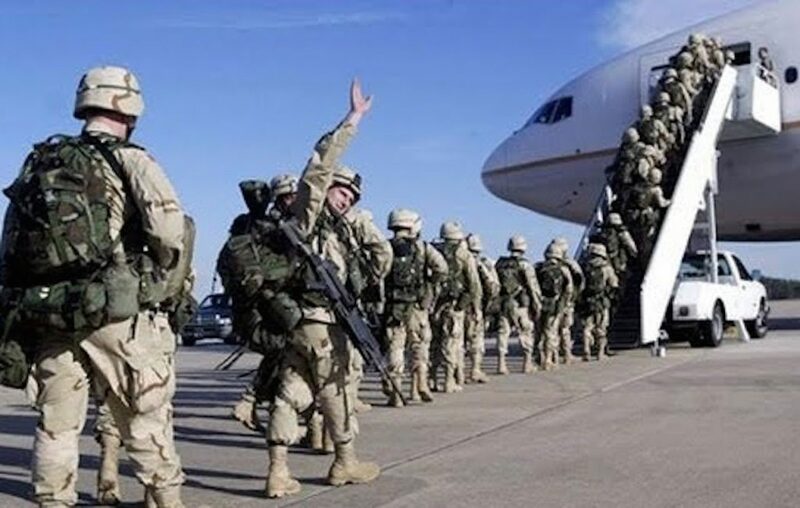 The US has begun withdrawing American troops from Syria, a decision President Donald Trump made in response to the fall of the physical ISIS caliphate, like reported by thisisinsider.com. There are serious concerns among lawmakers and foreign policy observers that the president’s decision will basically hand Syria and its future over to the Syrian regime-Russia-Iran axis, leaving our allies vulnerable and the stability of the region in jeopardy. While the primary mission of the US military in Syria has been the “enduring defeat of ISIS,” it has also been to counter troubling Iranian activities in the region. Pulling US troops out of Syria risks emboldening Assad, as he feels more secure, leaving his enemies — which have fought alongside American forces — more vulnerable. With the threat posed by ISIS degraded, Assad could, with the support of his Russian and Iranian allies, focus his efforts on retaking territory lost in the civil war. A campaign of revenge by Iraq’s Shiite-dominated government against Sunni Arabs in regions once controlled by the Islamic State is aiding Islamists and fueling another rebellion in the country, according to a new report, according to intelnews.org. In 2014, the meteoric rise of the Islamic State of Iraq and Syria —ISIS, later renamed to Islamic State— was largely aided by the strong belief among Iraqi Sunnis that they were second-class citizens in a Shiite-dominated Iraq. In addition to its Sunni credentials, the Islamic State was also able to appeal to Iraqi Sunnis by portraying itself as pious, efficient and trustworthy. This image was in a sharp contrast to the widespread provincial view of politicians in Baghdad as corrupt, indifferent and ineffectual. 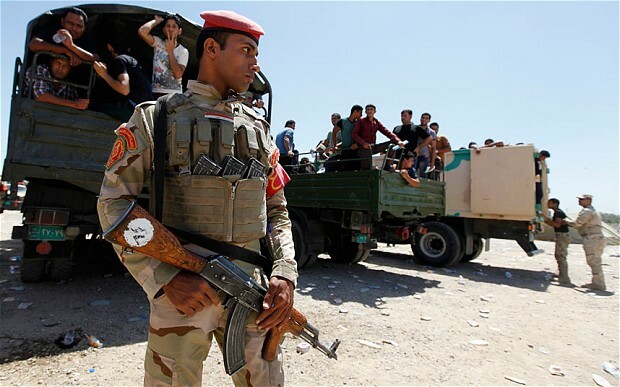 Popular support for the Islamic State among Iraq’s Sunni Arab minority took the Iraqi government by surprise and almost enabled the militant group to conquer Baghdad in 2015. 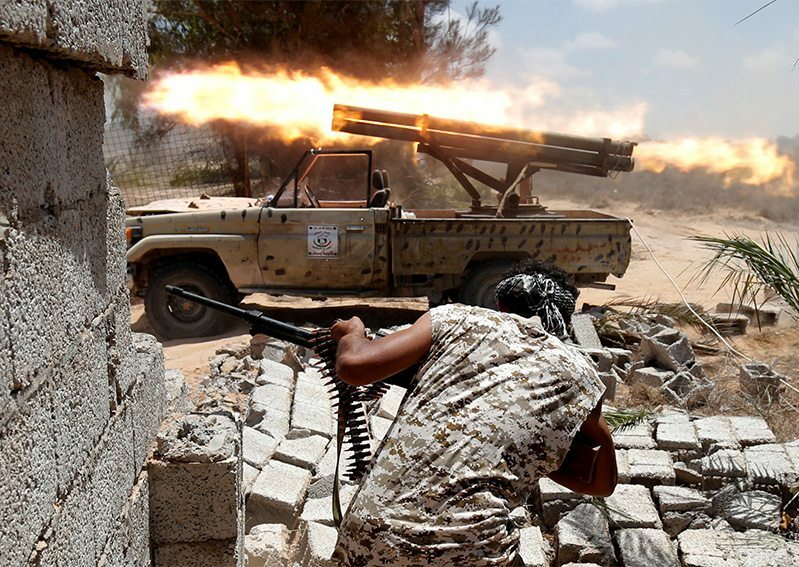 Discord among rival camps in Libya and their external backers continues to hamper the stabilisation process, making the creation of a unified military an unlikely goal in the short term, like reported by iiss.org. The aim of re-establishing a unified military in Libya, which has been convulsed by violent factionalism since the overthrow of the former leader, Muammar Gaddafi, in 2011, may be a laudable one, endorsed at a recent international conference in Italy involving rival Libyan armed groups and international partners. The delivery of such a goal, however, is unlikely in the short term. 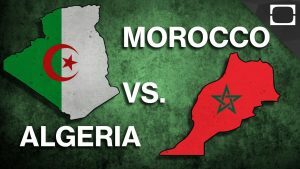 Continuing violence and divergent ambitions among key leaders in the country and the clashing agendas of the international players involved risk undermining the effort. The international gathering in Palermo on 12–13 November involved several Libyan factions, 31 countries and European Union and African Union representatives. Conference attendees supported the long-standing Egyptian-led initiative to reconstitute a unified professional military. This would be accountable to Libyan civilian authorities. Pulling together the rival armed groups which are made up of former regular military, tribal militias and armed civilians, however, is an extremely ambitious task. The disparate paramilitaries have massed under two main banners: Marshal Khalifa Haftar’s Libyan National Army (LNA) in the eastern part of the country, and Fayez al-Sarraj’s Government of National Accord (GNA) in the west. Reportedly the LNA totals up to 25,000 personnel, with at its heart a number of brigade-size units, including former Gaddafi-era Libyan military. Additional personnel are drawn from the Saiqa, a special forces unit that also counts former Gaddafi-regime soldiers amongst its number. Further manpower is provided by Madkhali Salafist militia units, Chadian and Sudanese mercenaries as well as armed tribal groups and petroleum facility guards. The GNA can count on a larger support base of militias, although some are prone to infighting. This lack of unity was reflected in last August’s clashes between GNA-affiliated forces and the Tarhuna 7thBrigade, which was supposedly part of the same faction. Within this loose grouping supporting the GNA, there are also those whose allegiance is driven only by opportunism. The largest armed groups in the west include the Misrata militias and the Zintani forces, with the latter split in their support between the GNA and LNA. In the capital, Tripoli, the GNA’s backers include the Rada Special Force, a police force comprising around 1,500 personnel and the 700-strong Nawasi brigade, led by Islamists. These militias are the best trained and equipped in the capital. While there has been no official recognition that the LNA has been the beneficiary of training or a technical advisory programme, there are significant claims of external support and supply of equipment. The United Nations Panel of Experts says that the United Arab Emirates is the source of Panthera T6 and Tygra armoured vehicles delivered in April 2016 to the LNA. It is also noteworthy that the UAE has already built an airbase in Al Khadim, south of the city of Marj in eastern Libya. In 2017, the UN panel also claimed that Egypt might have conducted some air strikes to support the LNA’s attempt to recapture oil terminals along the eastern coast of the Gulf of Sirte. Egypt denied the UN suggestions that it had provided air support. In western Libya, the ongoing infighting amongst the rival factions has made it difficult for the GNA to deal with human trafficking. Trafficking is a primary concern for the EU. To this end, since June 2016, the EU has provided training and assistance to the Libyan Coast Guard and Navy under the EUNAVFOR operation Sophia. According to the EU’s estimates, by the end of its mandate in December 2018, over 300 personnel will have been trained to perform maritime security and search and rescue operations. Similarly, in January 2018, Italy announced its Bilateral Mission of Assistance and Support in Libya. This extended and expanded its Libyan Coast Guard Mission and operation Ippocrate to provide limited medical support on a limited basis. Military training under the bilateral accord includes amphibious assault training, and the repair and return to service of a number of Libyan patrol craft and transport aircraft. In addition,12 second-hand Class 500 and two Corrubia-classpatrol boats are also to be provided. These were formerly operated by the Italian Coast Guard and the Guardia di Finanza. While EU reports suggest that EUNAVFOR Sofia’s mandate might be extended until 2020, it is still unclear whether Italy will renew its bilateral mission. As 2018 draws to its end, the LNA and GNA-supporting militias have remained fragmented, and on occasion fractious, hampering the stabilisation process. There is also the enduring challenge from ISIS, and the efforts to counter it. Both the LNA and the forces loyal to the GNA also still rely on military aid from external actors, in turn pursuing their own agendas. In such a complex environment, unifying even the bulk of the factions to create a functioning central armed force is unlikely any time soon. Some Western countries mistakenly think that the al Qaida-linked Salafi-jihadi groups from Central Asia and Chinese Xinjiang are fragmented, weak and less dynamic; therefore they do not pose a big threat compared to the Islamic state, like reported by eurasiareview.com. However, in-depth study of their activities and ideological doctrine shows that the Central Asian al Qaida ally groups today are actively engaged in the ideological education of children and youth, which in the future will become faithful fighters of the global jihad. The following comparison covers the methods of ideological education of Central Asia’s children and youth, and their use by ISIS and al Qaeda to achieve their goals. It is known that during the bloody reign of the Caliphate, more than 10 thousand citizens from Uzbekistan, Tajikistan, Kyrgyzstan, Kazakhstan and the Uyghurs from northwest China fought on the side of ISIS. Many of them made a Hijrah (the migration of Muslims for Jihad) to Iraq and Syria to “protect the values of true Islam” and brought their families with small children there.Subsequently, some of these children entered the battalion ‘Cubs of the Caliphate’ and became protagonists in the Islamic State’s Propaganda. According to my statistical research, in 2013-2018, more than 55 video, audio, and text materials were released by the Islamic State’s media wings with the participation of Central Asia’s children in Arabic, Uygur, Uzbek, Russian, Kyrgyz, and Tajik.After the fall of the Caliphate, propaganda videos with the participation of Central Asian children almost ceased.But the ideological “virus” ISIS continues its mutation among the youth of the former Soviet republics. With the diminishing possibilities of the Islamic state’s media resources, the propaganda and ideological activity of the al Qaida-linked Central Asian Salafi-jihadi groups have recently increased in contrast.As is already known, the Uzbek militants of Katibat al-Tawhid wal Jihad (KTJ) and Katibat Imam al-Bukhari (KIB), as well as Uyghur jihadists of the Turkestan Islamic Party (TIP)from the Chinese province of Xinjiang are affiliated with al Qaeda. All three groups regularly publish propaganda videos of children from the Syrian province of Idlib where they are fighting against the regime of Bashar al-Assad. Since 2013, al Qaeda has posted about 30 videos, audio and text materials in which Central Asia’s children made up the main plot. It should be noted that in Syria and Afghanistan about 200 Uyghur and Uzbek children are now being raised, whose parents are associated with al Qaeda. Many of them came to the Middle East with their parents. However, among them, there are those who were born already in Syria. Based on a comparative analysis of video, audio and text materials regarding the participation of Central Asian children, it is possible to point out the common and specific aspects of the alQaeda and ISIS ideological schools, and what different methodologies they use in raising children and youth. The main common characteristic of the curriculum in al Qaeda’s and ISIS’ madrasas is learning the Quran by heart, Tawhid (monotheism), Fiqh (jurisprudence), Salat (prayers), Aqidah (creed), Hadith, and Sura (life of Prophet Muhammad). The second common feature in the education of Central Asian children in al Qaeda and ISIS’ camps is the call to Jihad. The doctrine of Jihad is the main place in the ideology of both Sunni terrorist groups, and accordingly, in the madrasas and training camps, children are brainwashed from early childhood with ideas of holy Jihad. Imams explain to children in detail about all forms of Jihad and the sacred purpose of the Shahid (martyr).As a result, children after training in such religious schools, as a rule, replenish the “reserve fund” of ideologically hardened jihadists. A sharp ideological confrontation between the two main Sunni groups has escalated into armed conflict, which also affects the education of the younger generation of Islamists. To achieve victory in the struggle for hegemony in the global jihadist movement, the ideologists of al Qaeda use all means, including children’s education in madrasas. Al Qaeda-sympathized Uzbek and Uyghur imams in madrasas in Syria tell children about the enemies of Islam, which they ranked on a par with the “Kafir regimes” of the USA, Russia and China also the Kharijites (those who defected from the Ummah and rebelled against the Caliph) of the Islamic state and its leader Abu Bakr al Baghdadi. KTJ and TIP opened several madrasas to teach their children in Uzbek and Uyghur languages on the territory of the so-called “Liberated land of Sham”, which is controlled by Hayat Tahrir al-Sham (HTS), former al-Nusra Front.KTJ on the Internet often disseminates information about the activities of two madrasas: the Abdullah ibn Abbas Madrasa and the Umar ibn al-Khattab Madrasa. Also, the Uyghur Salafists of TIP own several madrasas in in Jisr al-Shugur in northwestern Syria. This was possible thanks to the fact that the Uyghur and Uzbek jihadists live compactly and separately in last major rebel stronghold of Idlib.In accordance with the guiding doctrine of al Qaeda, they have skillfully adapted to local conditions, and have virtually no conflicts with the local Arab population. ISIS spokesman Abu Muhammad al Adnani replied that the Caliphate did not swear al Qaeda because it was not appropriate for the State to swear organizations. As a result, ISIS began to use mass executions and public beheadings with incredible cruelty. Unlike ISIS, al Qaeda advocated a more gentle approach to convince local Muslims to accept its views and not force them to do.Ayman al-Zawahiri noted that it is impossible to unite Muslims, trying to impose their power on them with the help of violence. Indeed, during the peak of his reign in 2015–16, ISIS released dozens of videos with the participation of Central Asian children, who not only taught the Quran in the madrasas, but also cut off the heads of prisoners, executed “kafirs”, and blew themselves up as martyrs. Central Asia’s children were integrated into the military machine of the Caliphate as cruel executioners and suicide bombers, becoming an ideological tool in the struggle for leadership in the global jihad. The ideological differences between the Islamic state and al Qaeda manifested themselves with the example of teaching children in madrasas. 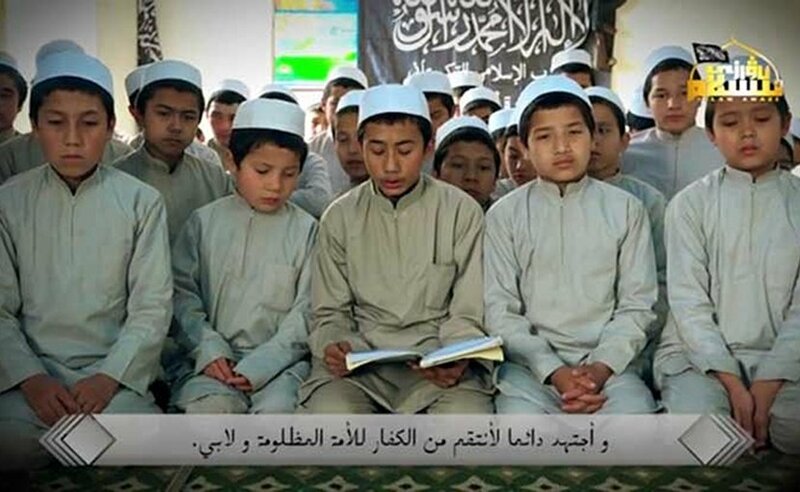 The Uyghur and Uzbek jihadists of TIP, KTJ and KIB, in organizing the teaching of children in the madrasas, took into account the recommendations of their spiritual leader Zawahiri to show a sense of practicality, pragmatism and not to demonstrate excessive cruelty. When analyzing video plots, the “peaceful nature” of the educational process stands out and the excessive cruelty of the students of the madrasa does not appear.For example, in the Abdullah ibn Abbas Madrasa, in addition to studying the Quran, children also study mathematics, Arabic and Uzbek languages, military science and sports.Imam says that the madrasa is fully equipped with books and textbooks, and books on the Uzbek language brought from Central Asia.According to him, the goal of training is to bring up a new generation of educated and highly intelligent warriors of Allah so that in the future they can resist the technological know-how of the West and defeat the enemies of Islam. Another video shows the educational process in the Umar ibn al-Khattab Madrasa, where the Uzbek children study among local Arab children. For Uzbek children, a bus-service has been organized that to take and pick children up from Madrasa. On October 29, 2018, TIP published a video entitled “Protectors of the Quran”, where Uighur children demonstrate excellent knowledge of the Quran, social science classes, swimming in the pool, exercise and military training.The Imam tells them about the atrocities of the Chinese authorities against the Uyghur Muslims and sets the task that they must liberate the lands of East Turkestan from the yoke of Beijing in the future.An analysis of these videos shows that in madrasas, the learning process is organized according to the concept of al Qaeda and the upbringing of children is conducted according to its ideology. The fall of the Caliphate revealed that Ayman al-Zawahiri had strategically calibrated the priorities of al Qaeda and its affiliated groups from Central Asia, and managed to implement an action plan that allowed them to survive in the struggle for leadership of the global jihad.For him, it is important not the seizure of territories or the creation of his own state with Sharia rule, but the process of jihad against the USA and its allies, and the widespread of al Qaeda ideology in the Islamic world. Al Qaeda’s tactic is that it tries not to draw enemy’s fire, slyly and prudently leads the game on its own survival, fundamentally creates its own ideological infrastructure and persistently teaches the next generation of jihadists. The activities of TIP, KTJ and KIB showed that over the past five years the influence of al Qaeda among the Salafis of Central Asia has increased significantly. There is not only the rejuvenation of al Qaeda militants, but also the ideology of global jihadism is rejuvenating. There is no doubt that TIP, KTJ and KIB will firmly adhere to the strategic line designated by Zawahiri.For them, the main priority remains a blow to the US and its military, diplomatic missions near the conflict zones in the future.But they are not in a position to carry out such an operation now and so far securely hide their true intentions.Therefore, the US should not underestimate the potential threat posed by the al Qaeda-affiliated Central Asian Salafi-jihadi groups. On Tuesday night a man shot at a crowd in central Strasboug. Three were killed and 12 injured in the attack that took place next to a Christmas market. By Wednesday morning security forces were still hunting the suspect, who is known to counter-terrorism services. He initially fled in a taxi from the city of 270,000 which is located near the German border, like reported by jpost.com. According to reports the perpetrator appears to have acted alone. This conjurs up memories of the murder of 12 people in the 2016 Christmas market attack in Berlin. The perpetrator in the Germany attack, who was born in Tunisia in 1992 had been in prison in Italy where he was allegedly “radicalized.” German security services had warned of his terrorist connections in the spring of 2016 and he was supposed to be deported. According to France 24 the suspect in the Strasbourg shooting was also known to police. He is 29 years old and was born in Strasbourg. He was confronted by soldiers who have been deployed in French cities as part of Operation Sentinelle. These soldiers were deployed after the November 2015 attacks in Paris that killed 130. The Interior Minister Christophe Castaner has said the suspect “sowed terror” at three places in the city. The reference to “three places” leaves more questions about what happened. It appears that the reference is to the suspect coming into contact twice with security forces and exchanging fire with them. As with many attacks in Europe over the last several years the suspect was already known to security and police. He had served a sentence and been convicted of unspecified crimes in both France and Germany, according to reports. In 2016 he was “flagged by anti-terrorist services,” France 24 reported. “He had been reported by the General Directorate for Internal Security.” The intelligence agency had even visited him in prison and taken account of his “religious proselytism.” Yet, even with this long rap sheet and being monitored by security forces, he carried out an armed robbery on Tuesday before the attack. During a search of his apartment grenades were found which leads to questions about how a man who was well known for violent proclivities and apparently religious extremism was able to acquire his arsenal. The attack took place within one kilometer of the European Parliament, which has taken the attack in stride. Antonio Tajani, the president of the parliament, tweeted the parliament would not be intimidated. “Let us move on,” he wrote. But residents and others may want more answers. One man told the BBC that he had attempted to aid a victim of the attack, waiting for 45 minutes for an ambulance to arrive. “A doctor told us on the phone that it was senseless,” to continue to aid the dead victim. This leads to questions about why medical services took so long to reach the scene. The attack in Strasbourg is among the most serious incidents this year in Europe, after a spate of ISIS-inspired attacks between 2015 and 2017. However the background of the alleged perpetrator appears to fit a much larger pattern, particularly in France. 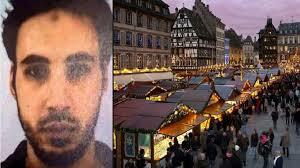 Mohammed Merah, the perpetrator of the Toulouse and Montaubon attacks, was born in Toulouse. A petty criminal he then went to Afghanistan and Pakistan and was placed under surveillance in 2006 and again in 2009. He went to Egypt and Pakistan and was followed by security service upon his return in 2011. Yet despite all this he was able to acquire weapons and between March 11 and 19 went on a spree of killing, targeting soldiers and then a Jewish school. One of the suspects in the November 2015 Paris attacks had a similar long rap sheet. Arrested for armed robbery in 2010, convicted for theft twice, breaking and entering once, and convicted of theft again in 2012. Then the suspect went to Syria, engaged in extremism, and returned to Europe. A second member of the cell that planned the 2015 Paris attack was named Abdelhamid Abaaoud. He too was arrested in 2010 for breaking into a garage, spent time in three prisons, and then went to Syria. He was even convicted of abduction and video in Syria showed him next to “bloody corpses” as he bragged he had loaded trucks with the bodies of “infidels.” Nevertheless he was able to return to Europe via Greece and is alleged to have helped plan four attacks in the spring of 2015 before being tracked down after the Paris attacks. Similarly the 2016 Brussels terror attack was carried out by men who had a long history of criminal and terrorist activity. Ibrahim EL Bakraoui had been involved in a robbery and gun battle with police in 2010. He was released in 2014 and travelled to Turkey before returning to Belgium. Another perpetrator, named Khalid El Bakraoui had been involved in “several” carjackings and had been caught with numerous illegal AK-47s. He was also convicted of “robbery and kidnapping” in 2009. Yet for all these crimes he received only several years in prison. The problem for security services in many European countries still appears to be the gap between surveillance of members of the criminal-terrorist extremist nexus, and prosecuting perpetrators for crimes such as acquiring illegal firearms. In almost every incident the perpetrators are known and some have been involved in numerous serious crimes. Yet they have received short sentences and usually been able to go on to commit new crimes while acquiring weapons. There also appears to be a continuing issue involving coordinating between countries. If the suspect in Strasbourg was able to get to Germany, despite clashes with security forces, that will lead to questions about how quickly the Germans were alerted. The suspect in the Berlin Christmas market attack also was able to cross numerous borders before being tracked down in Italy. Why police did not release the photo, description or details about the perpetrator more than 12 hours after the incident was also unclear. Eventually these details will be explained, but the incident shows that despite deploying soldiers as part of the wide-ranging Sintinelle operation, there are issues relating to response time and when to interdict suspects during the process of monitoring them. In his speech of November 6, 2018, King Mohammed VI extended a hand for peace and goodwill to the Algerian government, with the hope to start a new chapter of good relations. 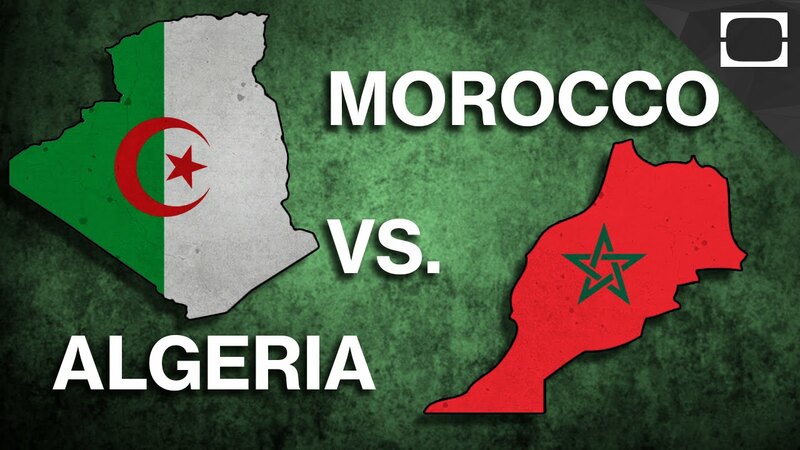 Nevertheless, the Algerian government did not respond to this initiative of friendship, so far. And a no answer posture is in many ways equivalent to saying unofficially: no way, like reported by eurasiareview.com. Money-spinning, no matter how careful and meticulously planned by the launderer, leaves digital trails, like reported by eurasiareview.com. These trails are the launderer’s unique digital fingerprint, which assists law enforcement agencies to his/her doors. This was precisely one of the main reasons as to why law enforcement agencies aggressively implemented mechanisms to combat terrorism finances, because the digital fingerprints left by September 11 hijackers for the very first time introduced intelligence and security agencies to its vast, dynamic, and complex organizational architecture. Intelligence officers discovered the ability of terror organizations to exploit the international banking/financial system and manipulate it to raise operational funds, launder money, and maintain the supply-demand equilibrium. Measures pertaining to Combatting Terror Financing or CFT were first adopted by US intelligence institutions in their “War on Terror” (WOT) post-9/11, in an effort to combat aforementioned irregularities. 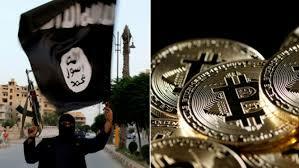 CFT received ample attention from international organizations such as the World Bank and the UN, forcing even the EU to formulate an effective regulatory legislation/policy in an effort to cripple the financial networks used by terror factions, while using financial reconnaissance to identify and apprehend terror actors. However, the mechanisms employed by intelligence and security institutions to CFT were largely developed exclusively to combat money laundering. The Financial Action Task Force (FATF) defines money laundering as the “the processing of criminal proceeds to disguise their illegal origin.” Transnational organized crime factions and militant organizations launder money to systematically legitimise their illegal and the ill-gotten proceeds of criminal activity. Their day begins with illegal money and ends with clean cash in their hands. The Third Money Laundering Directive of the EU defines money laundering as the collection of funds and provisions with respect to it, by participating directly or indirectly, intentionally or with absolute knowledge of its usage, in complete or partial capacity and carrying out acts under the definition of terrorism. Taking the aforementioned definition into account, the legislation is principally focused on the usage of funds and ignores the systematic procedure for legitimizing illegal money. Moreover, finances received by terror factions & radical religion centric militant organizations is largely sourced by both legitimate and illegitimate activities. Hence, it is impossible to deny the fact that the financing of terror organizations is a reverse money laundering procedure, which initiates with legitimate money leading to militant factions using the same finances for illicit means. However, undoubtedly the transition from dirty to clean money varies even for militant factions as significant militant groups receive finances using illegal measures, including but not limited to kidnapping, drug trafficking, gun running, extortion, and prostitution. However, the principle difference between money laundering and CFT is the motivation behind the act being committed. 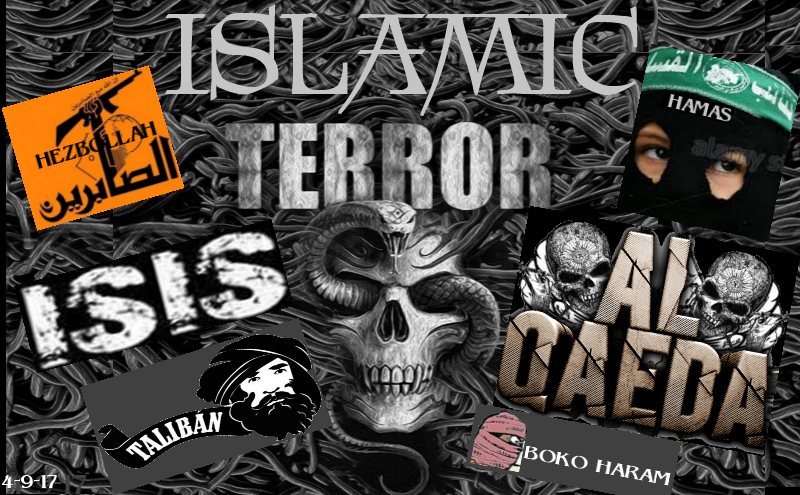 Organized crime syndicates are focused on generating profits, while terror activities are political in nature. Organized crime syndicates operate as multi-national organizations, whose focus remains on expanding business and maximizing profits. On the contrary, terror factions have specific yet limited political motives and need finances to achieve their task. Taking into account the foundational difference between money laundering and CFT, the author stresses the need to establish separate counter-money laundering and CFT legislations. Established legislation, no matter how effective and efficient it may be for CFT, will prove useless for anti-money laundering initiatives, particularly when the finances received emanate from a legitimate source. The policies implemented by the European Union to counter terror finances play a more supportive than dedicated approach. The ratification and implementation of United Nations Security Council Resolution (UNSCR) 1373 and 1267 introduced new legislation within the EU legal system for identifying groups/individuals suspicious of possible financial relationships with terror factions. This legislation receives support from three money laundering directives formulated by the EU, particularly on cash entering and exiting the EU along with the information on the transfer of funds. After consecutive terror attacks in Kenya and Tanzania in 1998, the United Nations Security Council unanimously voted for the adoption of UNSCR 1267/1999. With time, these resolutions were extended and subsequently modified via resolutions 1333/2001 and 1390/2002, formulating a policy of freezing financial assets and other economic resources and listing certain persons of interests with possible ties to Al Qaeda and Taliban. The adoption of resolution 1267/1999 among other supplementary resolutions forced the EU to formulate numerous legislations. September 11, 2001 triggered the UNSC to strengthen operationally limited yet effective UNSCR 1267/1999 (which focused on apprehending and extraditing Bin Laden and putting a complete stop to Al Qaeda operations), with UNSCR 1373/2001. The UNSCR 1373 gave opportunity to the UN member nations to formulate an autonomous list of terror factions/individuals, only to be carefully examined by the UNSC’s Counter Terrorism Committee. More importantly, the UNSCR 1373 extended its boundaries beyond the Taliban, Al Qaeda, and their affiliates. This triggered the EU to establish an autonomous list of persons of interests and suspicious organizationshighlighting legalities behind the inclusion of certain individuals and organizations in the list, as well as defining inter-agency and intra-agency jurisdiction and cooperative mechanisms to apprehend them. The EU further added counter terror laws and cooperation policies with third world law enforcement agencies, in an effort to strengthen its fight. This legislation involved the exchange of critical information on terror factions and persons of interests, in accordance to 1373/2001, and the exchange of materials and training mechanisms with partner security institutions. However, these measures undertaken by the EU demonstrated its efficiency and effectiveness only on paper. The extensive dependency on UNSCR 1373/2001 failed to acknowledge the potent financial transactions that were emanating from within the EU. Moreover, when the author took a closer look, the accounts that were frozen since the resolution came into effect saw a partial increment, which highlighted the resolution’s ineffectiveness. This could have been possible only when the terror and criminal syndicates have figured alternate routes to launder their money. One key effective legislation against C-ML has been formulated by the Financial Action Task Force (FATF), which was established at the G-7 summit in 1989 with a sole purpose to unify international communities’ response against money laundering. After its immediate establishment, the FATF released a list of 40 recommendations which were a compilation of programs aimed at eliminating money laundering. Furthermore, to eliminate the use of the international financial system by terror factions to launder money, the FATF released a list of 9 special recommendations, suggesting policy recommendations to member nations. In the context of C-ML legislative mechanisms within the EU, the Union formulated and ratified the First Money Laundering Directive (MLD) as early as 1991 and Second MLD in 2001, which was applied to financial and credit centric institutions, and by 2001, it was imposed on Designated Non-Financial Professional Bodies (DNFPBs), which included (not limited to) lawyers, accountants, and casino holders. The legislation tasked them to verify customer identification, keep transactional records and report any suspicious transactions. The Directive also tasked member countries to establish a Financial Intelligence Units (FIUs) as a federal financial centric enforcement institution with a task to receive, analyze and assess suspicious financial information provided by partnered law enforcement and security institutions. The EU then established the Third MLD in 2005, whose boundaries were extended to cover all financial transactions initiated by criminal factions. Furthermore, some of the IX FATF special recommendations have been covered under Regulation 2005/1889/EC11, particularly the ninth recommendation on carrying cash by individuals, especially those leaving the country, putting a legislative cap on transactions not exceeding 10,000 euros. However, it is important to note that, the Regulation 2005/1889/EC11 is not fail-proof as it is not applicable on precious articles. Furthermore, as stated above, the legislative mechanisms adopted by the EU continue to operate with full capacity because of existent and growing discrepancies in submission of financial transcripts by DNFPB members, particularly lawyers with their non-cooperative stance towards the FIUs. The key to effective and efficient CFT mechanisms lies in inter & intra agency cooperation and co-ordination. This would comprise effective and timely intelligence sharing, reinforced by timely coordination with tactical and special operation units. As stated, and discussed in the above arguments, to successfully counter CFT, security establishments must strengthen inter & intra-agency intelligence sharing mechanisms. Although, the call to strengthen intelligence sharing mechanisms seems to be de-valued by security institutions within the EU. Member nations continue to remain hesitant on sharing intelligence, which points toward the essence of insecurity member countries have towards each other, especially when the context of national security lies within the prerogative of member countries themselves. It would not be incorrect to state that the counter terrorism policy within the EU continues to focus on basic technicalities and fails to highlight the role of member nations in their unified fight against terrorism. Inadequate trust within security and intelligence institutions could be another factor, which is reinforced by the fear of an intel leak, particularly in the light of the participation of various intelligence agencies. Although in light of an inter-agency cooperation legislation, Council Decision 2000/642/JHA, which highlights cooperation within the FIUs, indicates a lethargic notion of CFT. The sheer absence of member nations motivation to contribute towards Europol analysis on terror financing doesn’t only highlight the casual attitude toward CFT, but also points towards an absence of cooperation between Europol and FIUs. However, EU’s Situation Centre (SitCen) seems to be the only agency working towards gathering intel on terror financing. It gathers intelligence provided by the member nations, partner EU security institutions, and outside partnered agencies. The SitCen hosts a Civilian Intelligence Cell and a dedicated Counter Terrorism Cell which hosts intel experts with enormous expertise and experience. It is worth noting the fact that, not every member nation of the EU has delegated its officers to this cluster, which remains functional in spite of being short-staffed. At the institutional level, the EU can achieve wonders with efficient and effective cooperation mechanisms in C-ML and CFT operations, which today lack the political will, hindering overall operational capability. Reinforcing the Lisbon Treaty and adding an additional clause on CFT could potentially strengthen EU architecture, opening doors for a dedicated CFT & C-ML legislature. Today, smart tactics employed by terror factions and organized crime syndicates to launder money cannot be countered simply through traditional account freezing mechanisms. Militant groups are rapidly adapting new innovative mechanisms to evade law enforcement surveillance. The solution lies in the sheer political will and decisive actions of political leadership infused with motivation and a clear vision. This week, for the first time, Israel made public its discovery of the tunnel constructed by Hezbollah and reaching into Israel’s sovereign territory. This brought to an end a long period during which a large number of Israelis living in communities adjacent to the Lebanese border reported hearing sounds of digging as well as feeling tremors in the walls of their homes, like reported by inn.com. 6. Hezbollahs’ “Radwan” commando unit is the attack force which was to traverse the tunnels, enter the Galilee and conquer Israeli settlements there. 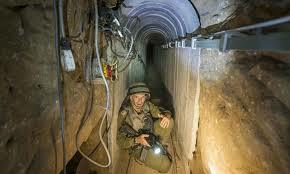 Now that the tunnel has been found and booby-trapped by the IDF, both officers and fighters in the “Radwan” unit are afraid that every tunnel they enter is a death trap – not exactly adding to their motivation. 9. Despite all this, Israel would be wise not to think that the discovery of the tunnels is a knock-out blow to Hezbollah. That terror organization knows how to overcome difficulties and adapt itself and its operations to changing circumstances. While it is true that the discovery of the tunnel is an impressive achievement, technologically and intelligence-wise, it is not enough to defeat Hezbollah and convince the organization that there is no point in continuing to fight Israel. Hezbollah will remain Israel’s implacable and bitter enemy from an ideological standpoint, and more immediately, because it is the long arm of the Iranian Islamic Republic which has sworn to destroy Israel.